That’s it. 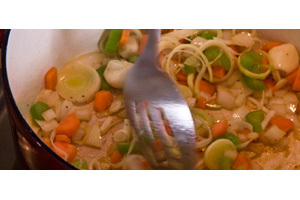 Now, you’ve made mire poix. Do you add cream or wine to it? Would that enhance it or ruin it? You certainly could! In fact, a great many recipes do, although at that point you’ve taken it from a basic building block towards being part a recipe (like a soup, stew, braise, etc), if that makes sense.